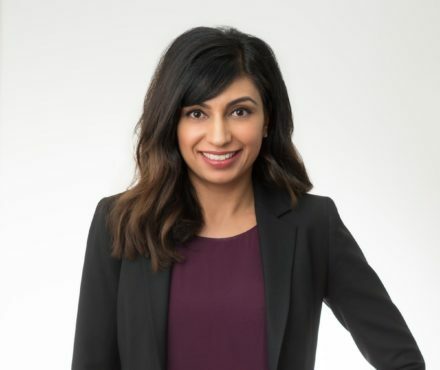 Karen Powar joined Lindsay Kenney’s Langley office in 2017. Karen obtained her Bachelor of Arts with a double major in Criminology and Psychology from Simon Fraser University in 2004. She attended law school at the University of Alberta and graduated with Distinction in 2008. Her articles were completed at a large national law firm in Vancouver. With a focus on personal injury and civil litigation, Karen guides individuals injured in motor vehicle accidents through the often intimidating legal process. Karen is diligent in helping her clients to get the treatment they need and the compensation they deserve. A skilled negotiator, Karen is adept at achieving the best results for her clients. Personable and approachable, Karen is also fluent in Punjabi. This ability allows her to communicate effectively without a language barrier. Karen has volunteered at the Access Pro Bono Going Public event to provide free legal advice to low and modest-income individuals who otherwise lack access to critical legal advice. Outside of her busy law practice, Karen enjoys power yoga, cooking, travelling and most importantly, spending time with her husband and two young children.